One of the most prevalent health conditions in the United States today is obesity. Both children and adults are often classified as being obese and this can have very serious health consequences. 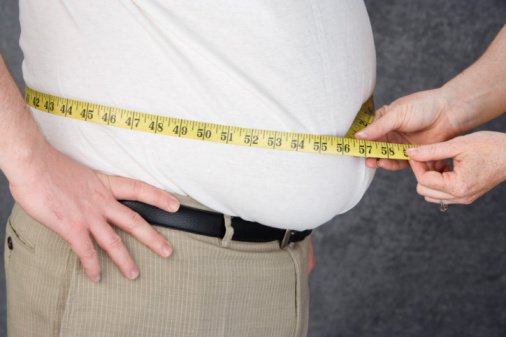 There are numerous reasons that a person may be obese. 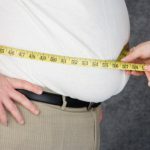 While lack of exercise and poor eating habits are more commonly given as reasons for being obese, genetics and socio-economic factors may also be involved. Typically obesity is related to consuming more calories every day than are being expended. Obesity is defined as a condition where a person has excess body fat. One of the ways that obesity is measured is by taking a person’s body mass index (BMI), which is calculated by their body weight in kilograms and dividing it by their height in meters squared. If the result is 30 or greater, that person is considered to be obese. There are also different types of weight loss surgeries, known as bariatric surgery that can be performed. They are Gastric Bypass, that shrinks the stomach capacity into a small pouch so it won’t hold a lot of food and the Adjustable Gastric Band surgery which limits the amount of food that enters the stomach. If you would like to discuss surgical options for treating obesity with a physician at Flushing Hospital, please call 718-206-5486. Meet Tracy M. Norris, LCSW. 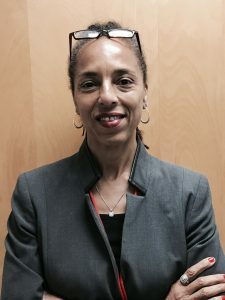 Tracy is a dedicated social worker, doctoral student and Clinical Manager at the Flushing Hospital Medical Center’s (FHMC) Mental Health Clinic. As Clinical Manager, Tracy’s daily responsibilities are many. Whether overseeing patient care, staffing, medication trouble shooting, communicating with administrators or providing direct consults for patients Tracy’s days are eventful. Tracy considers every day to be her best day. No matter the challenge or accomplishment she is focused on the patient by always striving to improve patient care and overall satisfaction. “When you know that your patients are healthy, happy and safe, you have a sense of pride and personal fulfillment” is how Tracy describes what pleases her most about the work she does. Tracy does not keep her dedication to mental health tethered to inside the hospital. She maintains a rigorous community outreach schedule bringing her knowledge to the surrounding community and schools in Flushing. “Outreach is a way of putting a human face on a mental health issue that may be culturally stigmatized causing people to not want to reach out for help.” “I feel that if I can influence a child or help a parent to connect with their child, I have made a difference,“ stated Tracy. Have You Ever Heard of Face Blindness? Prosopagnosia, also known as face blindness or facial agnosia, is a rare neurological disorder characterized by the inability to recognize faces. The condition is often accompanied by other forms of recognition impairments such as a failure to recognize objects or places but sometimes it is just restricted to facial identity. Depending upon the degree of impairment, some people with prosopagnosia may only have difficulty recognizing a familiar face. Others might be unable to discriminate between unknown faces while others may not be able to distinguish a face as being different from an object. In some cases, people with the disorder are unable to recognize their own face. Prosopagnosia is not related to memory dysfunction, memory loss, impaired vision or a learning disability. 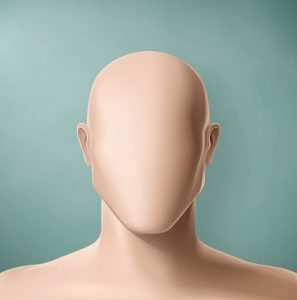 Most of the documented cases of prosopagnosia are linked to an event that resulted in damage to the brain, such as a stroke, head trauma or a degenerative disease. In these cases, the condition is referred to as acquired prosopagnosia. In other cases however, the condition occurs in the absence of brain damage. These cases are considered developmental prosopagnosia and can occur at birth or at a very young age. In most cases, developmental prosopagnosia is genetic in nature. There is still very little know about prosopagnosia and there is no cure for prosopagnosia. To compensate, those with the disorder are encouraged to develop strategies to help them identify individuals, such as recognizing voice cues or other unique physical attributes. Psoriasis is a condition that is characterized by raised, red scaly patches. It is often found on the scalp, knees and elbows, but can show up on other parts of the body as well of people who have the disease. The exact cause is not known but there is a correlation between genetics and also the body’s immune system. Psoriasis is a condition where the skin cells multiply at a faster rate than normal cells. This causes a buildup up skin lesions and the area of the body also feels warmer because it contains more blood vessels. Psoriasis is not contagious so it does not get passed by coming in to contact with a person who has it. It is a condition that affects men and women equally and it can develop at any age, most commonly between the ages of 15 and 35. There are certain risk factors for developing psoriasis. This includes stress, smoking, obesity, alcoholism, skin infections, a vitamin D deficiency, and a family history. Psoriasis is diagnosed by examining the skin and making a diagnosis. A dermatologist will be able to determine if it is psoriasis by the amount of thickness and redness it has. There are different types of psoriasis and they are classified by how they show up on the skin. There are three ways that treatment for psoriasis can be approached. They can be used by themselves or together, depending on the severity. Topical creams and ointments that contain corticosteroids are usually the most commonly prescribed medications for mild to moderate conditions. Light therapy that is either natural or artificial ultraviolet light can be used and it is directed at the area of the body that is affected. In severe cases, medications that are either injected or taken orally may be required. There are also alternative treatments that are being used and this includes Aloe vera which comes from a plant and omega-3 fatty acids that comes from fish oils. 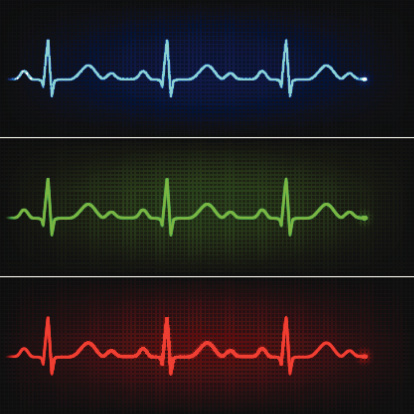 Depending on the severity of the disease, it may have an impact on a person’s quality of life. If you would like to schedule an appointment with a dermatologist at Flushing Hospital Hospital for any type of skin condition, please call 718-670-5486. If you are experiencing difficulty urinating or have questions about maintaining bladder health, please call Flushing Hospital Medical Center at 718-670-5588 to schedule an appointment with a urologist. When planning your child’s return to school in the fall, as parents you have a list of supplies and purchases that need to me be made to make sure they have everything they need to have a great school year. While planning your child’s entrance back to school, make sure you schedule an appointment for your child’s dental check-up. Healthy teeth are important to your child’s overall health. Did you know that a correlation between oral infections and diabetes, asthma, heart disease and obesity has been identified? According to the National Institutes of Health, 20% to 30% of children and adolescents in the United States have chronic health conditions due to a lack of good oral hygiene. Chronic illness may interfere with a child’s ability to succeed in school. There has been statistical evidence that shows a direct link between chronic illness and missed school time that can lead to a decline in your child’s school performance. Brush teeth regularly – At the age of 3, you can begin to teach your child proper brushing techniques by using a drop of fluoride toothpaste on a soft-bristled toothbrush. Avoid Sugar – Ingesting sweets brings about an acidity that causes decay-producing bacteria. A sugary snack can lead to a mouth full of cavities. Regular dental treatments – Your child should see a dentist around the time of his/her first birthday and then regularly thereafter. It is important to establish a relationship of trust between your child and their dentist. If you feel anxious about a visit to the dentist, try not to convey those feelings to your child. Encourage your child to discuss any fears about visiting a dentist and be reassuring that the dental professional is there to help them. If you are interested in making an appointment for your child to see a dentist, the Department of Dentistry at Flushing Hospital Medical Center provides valuable services to the community. For an appointment call, 718-670-5521. 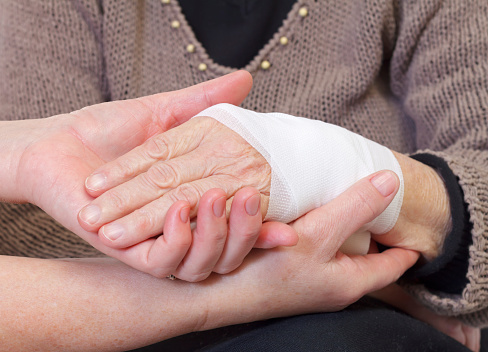 Can Healthy Eating Promote Successful Wound Healing? A balanced diet should include 1.5 grams of protein for every kilogram of body weight. A kilogram is equal to 2.2 pounds. 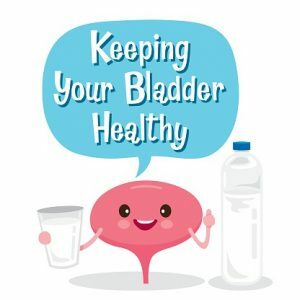 Keeping hydrated is also very important, eight glasses of water per day should be the minimum and more if the person sweats profusely, has a wound that is draining, or if vomiting and or diarrhea are present. Meals should include meats, eggs, milk, cheese, nuts, seeds, yogurt and dried beans. In some people who have difficulty obtaining proper caloric intake from their daily meals, high protein and high calorie shakes can be used as supplements. Two amino acids, found in foods having protein and that have been identified as having potential to help wound healing are arginine and glutamine. Wound healing also requires additional levels of vitamins and minerals, however care must be taken too not take in more that the daily recommended amounts because this can have a negative effect on the body. 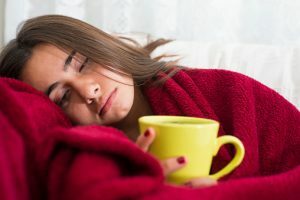 Mononucleosis, also known simply as “mono” is a common infectious disease that is typically caused by the Epstein Barr virus. Mono is most often found in teens or young adults, such as college age students. Young children also can get mono, but symptoms are much milder and may go unnoticed. As children grow older, they usually build-up antibodies to the disease and develop an immunity as they become adults. Mono is primarily spread through the transmission of bodily fluids, such as mucus or saliva. For this reason mono is also given another name, “the kissing disease,” although it can also be spread by sharing items such as drinking glasses, utensils, or toothbrushes. Symptoms of mono first appear four to six weeks after being exposed. Most symptoms last two to four weeks, but some symptoms, such as fatigue, or swollen spleen or liver can last for months. There is no vaccine to prevent and no medicine to treat mononucleosis. Self-care treatment methods, such as getting plenty of rest, consuming liquids and taking pain / fever medications are all that is usually needed. Gargling with salt water and taking lozenges are also recommended to soothe a sore throat. It is also advised to avoid contact sports and heavy lifting to avoid further damage to your spleen or liver. If your child is experiencing symptoms that are consistent with mononucleosis, it is recommended that you see your doctor, who can confirm a diagnosis or rule out other causes for your symptoms by ordering a blood test. If you do not have a doctor, Flushing Hospital’s Ambulatory Care Center has many dedicated physicians. To make an appointment, please call 718-670-8939. 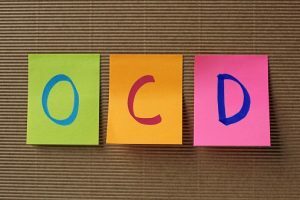 When a person is recognized as having Obsessive Compulsive Disorder, or OCD, they demonstrate unreasonable thoughts and fears that make them perform repetitive and ritualized behaviors. 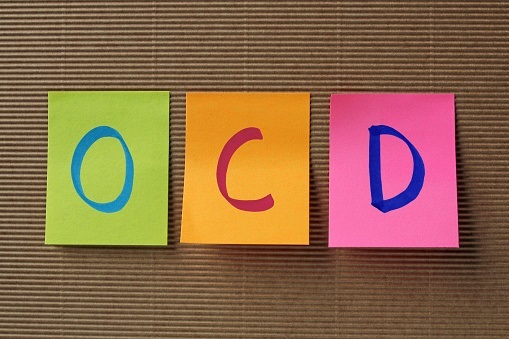 A person with OCD feels obliged to perform these actions as a way to reduce their stress and anxiety. They will feel that by not giving in to these impulses will cause something bad to happen, which can raise their stress and anxiety. 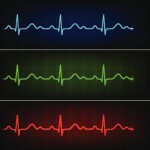 • Biology – caused by changes in the body’s chemical make-up or the way the brain functions. • Environment – causes a person to respond to a triggering event that leads to the obsessive compulsive behavior. • Genetics – may contribute to a person’s susceptibility to OCD and also a certain level of stress in a person’s life may be a factor.